Maria's craft journal: Мини квилт "Кошки"
Дошила мини квилт 33 Х 58 см для дочки подруги, к которой едем завтра на день рождения. Традиционно дарим что-нибудь с кошками. 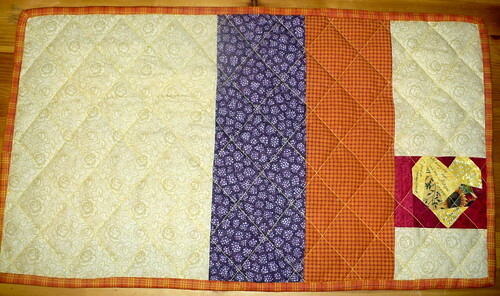 This is a quick quilt made for a friend's daughter for her birthday. Может быть, добавлю какие-нибудь детали, например, пуговицы или бубенчики. Не смогла настроить машинку, а время поджимает, поэтому простегала в клетку. Если любопытно, как сделать ровно и быстро, можно посмотреть мк у Аманды Джин. Секрет в малярном скотче. Сердечко осталось от большого одеяла. Maria - can you tell me where I can buy a self-healing cutting mat and rotary cutter in Moscow? I will be visiting there this weekend and REALLY want to find one. 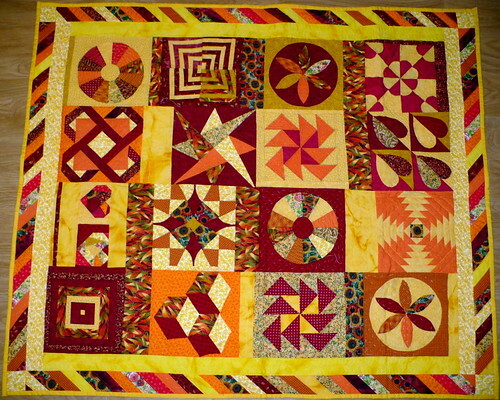 I want to learn to quilt! 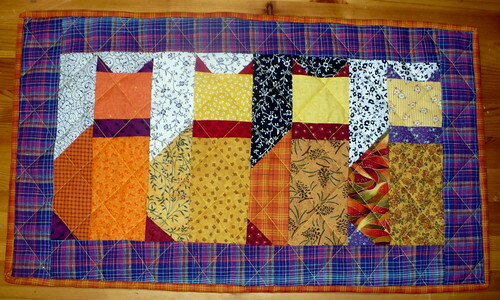 I am glad to hear that you are so enthusiastic about learning to quilt. I would love to help. Moscow is a big city. Where will you stay? I can call some shops for you to make sure they have it in the store. Textilny fantasii (http://www.tefan.ru/cat.php?SECTION_ID=246) is one good store in the North East of Moscow. Shveiny mir (sewing world) has a few shops (http://www.sewing-world.ru/shops.html). There is one on Leninsky prospect - Sheiti sami (Sew yourself) that used to sell them.